Built several millennia before Stonehenge or Egypt’s great pyramids, Göbekli Tepe is acclaimed as the world’s oldest temple at around 12,000 years old. Listed as a UNESCO World heritage property in 2018, this stunning sanctuary complex in south-east Turkey overturns the conventional view of the rise of civilization. 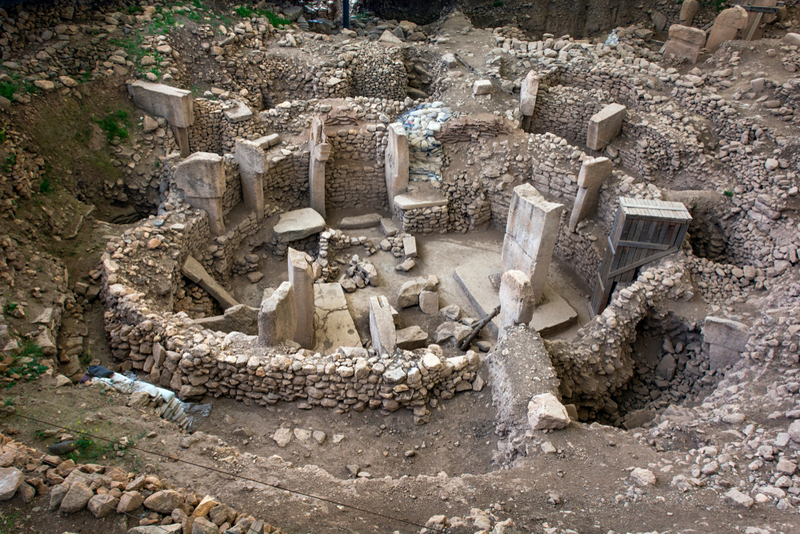 Due to its age and unusual architecture, Göbekli Tepe is fascinating to scholars. The site features a series of circular sunken structures that were used for a thousand years before they were back-filled and abandoned. First discovered in the 1960s, the German Archaeological Institute and Şanlıurfa Museum have done joint work here since 1995. Construction techniques vary but in the most elaborate there is a ring of T-shaped monolithic columns with a pair of larger, carved T-columns at the center up that are ten to twenty feet in height. These not only supported a roof but also represented abstracted human figures that were part of a belief system that is still a mystery. Some are carved with animal figures in relief. Archeologists have recently discovered new temples and standing stones, within the artificial mound spread across twenty acres. Mehmet Önal, the head of the Archeology Department at Harran University, said at least 15 more mega-monumental temples and more than 200 standing stones were discovered as part of geophysical surveys in the region. Join Far Horizons tour of Eastern Turkey and experience a private tour by the archaeologists working there.